On my Middle Fork trip through the largest roadless wilderness in the North America, I met new friends for a lifetime, saw incredibly rugged mountains and challenged myself on whitewater rapids. 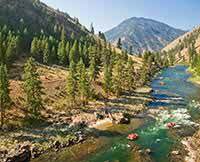 The history of the Middle Fork of the Salmon River fascinated me with stories of old miners and hermits. The multitude of hotsprings made each day relaxing after intense rowing and the camping and food was the perfect ending (and beginning) to each day. 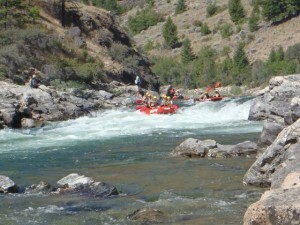 I will forever remember this Idaho whitewater rafting trip!